Laps were walked by guests to help show support of those who have suffered from all forms of cancer. 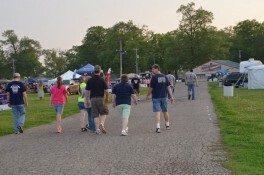 People of all ages met at the Kosciusko County Fairgrounds this weekend to celebrate the annual Relay For Life. The event began at 3 p.m. Saturday, May 16, and will conclude at 9 a.m. Sunday, lasting a total of 18 hours. 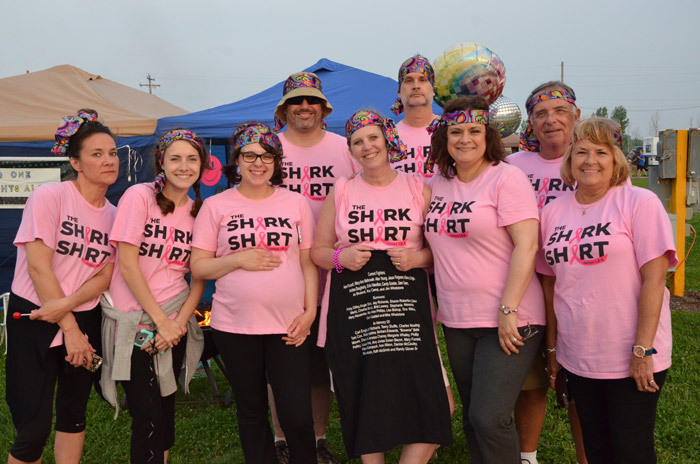 Relay For Life has been hosted in the county for several years and offers community member the chance to offer support of loved ones who have had or beaten cancer, as well as an opportunity to raise funds and become better educated on the disease. Lori Mawly, Casey Shirk, Westley Raver, Kelly McCammack, Jayson McCammack, Angie Shirk, Stan Pequignot, Sherry Pequignot and Dave VanDyke show support for those fighting cancer and for those who have lost their fight. 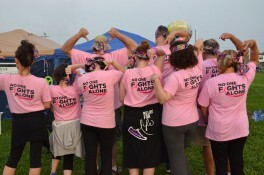 Spanning nearly an entire day, the event kicked-off with a welcome ceremony and a survivor walk. The event also offered a survivor dinner to honor both caregivers and survivors as well as a silent auction. Guests were invited to dress in costume to celebrate the theme of “Kosciusko Has Disco Fever.” Campsites were also decorated for those staying throughout the whole event and laps were walked around the fairgrounds to show continuous support for the cause. A luminaria took place later in the evening, featuring hundreds of paper bags alight with a glow stick that would shine throughout the evening. These bags offered loved ones an opportunity to remember those who have lost their battle, honor those still fighting and celebrate those who have won their fight. 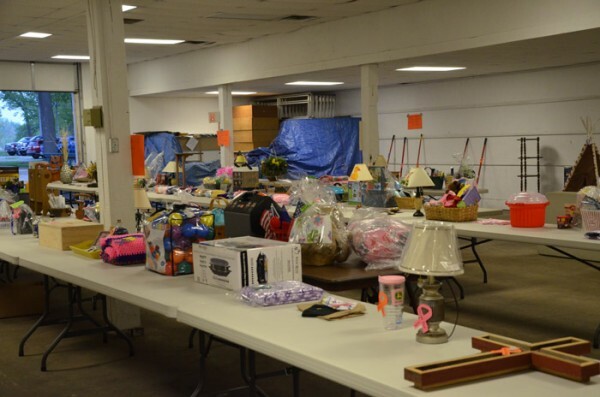 A Silent Auction was held to help raise funds to help those locally suffering from cancer. Numerous fun events were planned throughout the event including an obstacle course, magician, music, band performances, twister, pet rock creation and more. Food was also available for purchase during the relay for participants. Event Organizer Deb Fitzsimmons noted the relay raises funds for the American Cancer Society. These funds are used locally to support patients and their family members in a variety of ways. Though the event is free to attend and participate in, Fitzsimmons noted many guests and their respective teams will fundraise and donate to the cause. According to Fitzsimmons, over $55,000 was raised last year through donations and sponsorships. This year, organizers are looking to beat their prior record by raising $65,000 for the cause. Education was an important aspect of Relay For Life to help ensure early detection. Guests of all ages participated to show support of the fight against cancer. 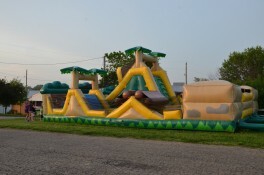 Inflatables offered a fun entertainment option for the younger participants of Relay For Life.